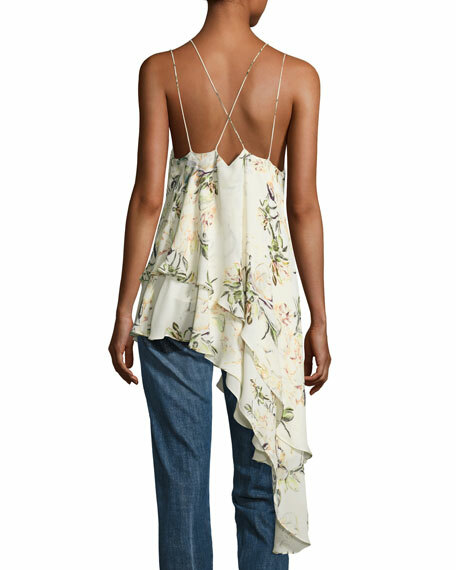 "The Darling" tank in layered floral georgette by Haute Hippie. 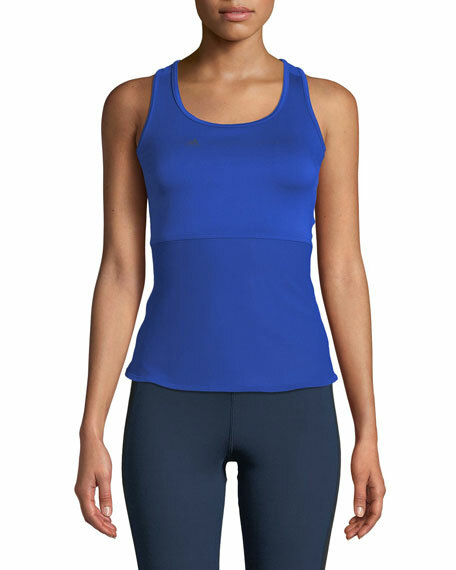 Sleeveless; doubled shoulder straps cross at back. 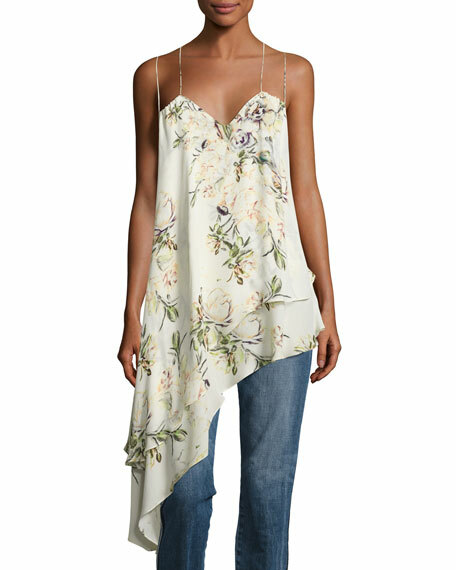 Asymmetric hem cascades down right side. For in-store inquiries, use sku #2142728. 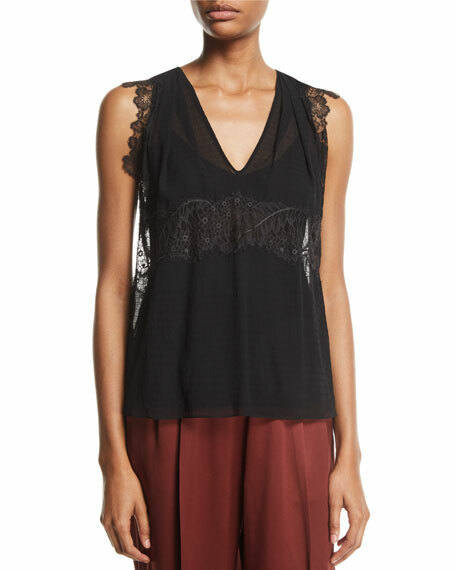 3.1 Phillip Lim tank with lace inserts. V neckline. Sleeveless. Relaxed fit. Keyhole back. 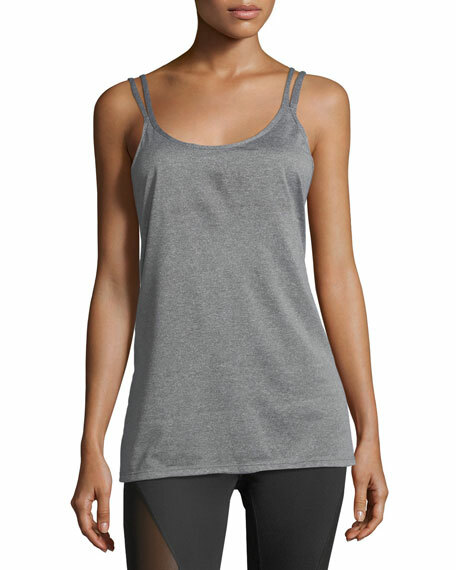 Slipover style. Silk/spandex; silk lining. Dry clean. Imported. Model's measurements: Height 5'10"/177cm, bust 32"/81cm, waist 24"/61cm, hips 35"88cm, dress size US 2/4.